In July 2017 Cerne Calcium Company had the opportunity to assist the Knights of Columbus Assemblies 3378 and 3031 with a Commemorative Rock Project for the VA Hospital in Des Moines, Iowa. 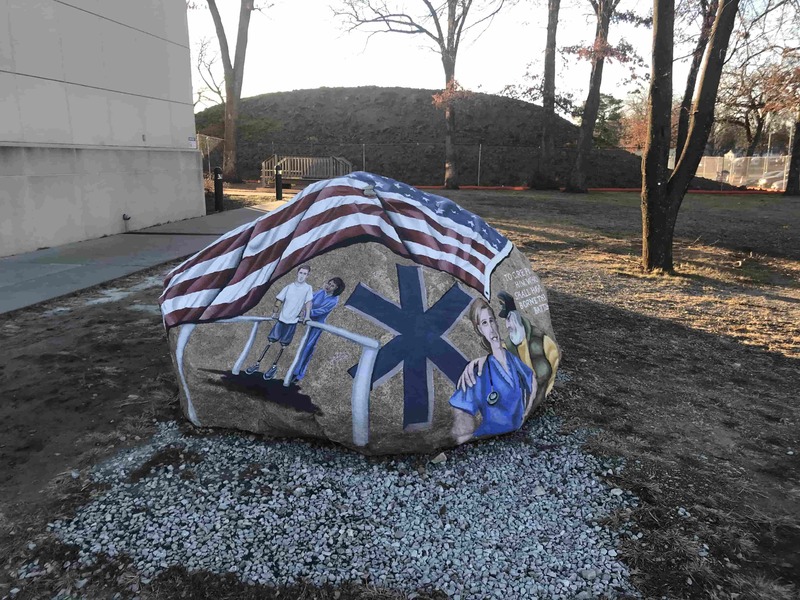 The Assemblies had commissioned artist Ray “Bubba” Sorenson to paint a Commemorative Rock that would be part of the Terrain Therapy Garden at the VA Hospital. The rock for the project was found in Fort Dodge, Iowa and it was our pleasure to assist in the relocation of the rock to Des Moines. Jeff Chicoine, Jeff Ackerson and Dave Kaloupek of Cerne Calcium Company brought a crane and fork lift to the site to load the rock and prepare it for transport. 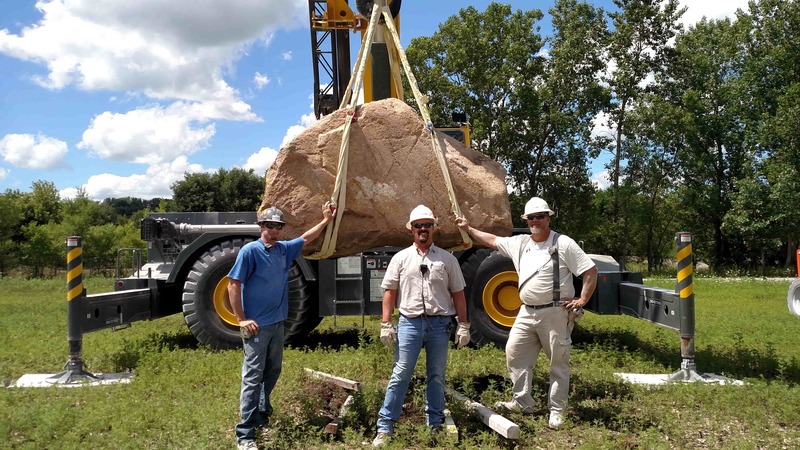 With the help of additional volunteers the rock was transported to Des Moines, unloaded at the project site and installed in the Terrain Therapy Garden. The labor, materials and all costs for this project were donated by various businesses and individuals. In December 2017 the Commemorative Rock was completed, a dedication ceremony was held on December 17, 2017 at 2:00pm.